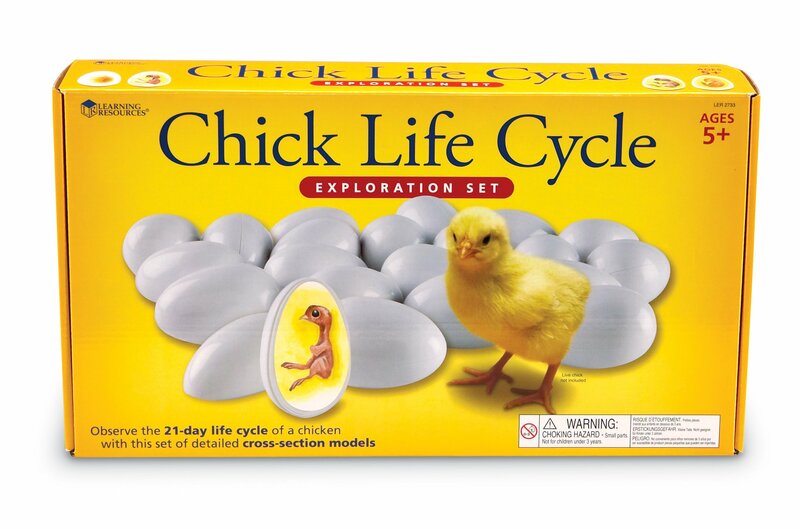 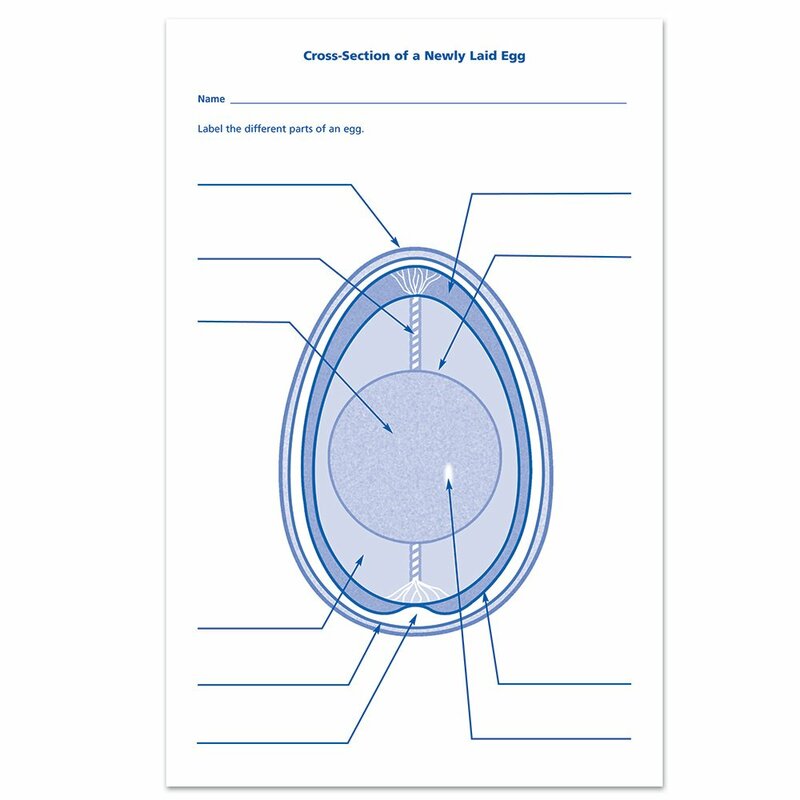 Students will explore the life cycle of a chick in a visual and hands-on way. 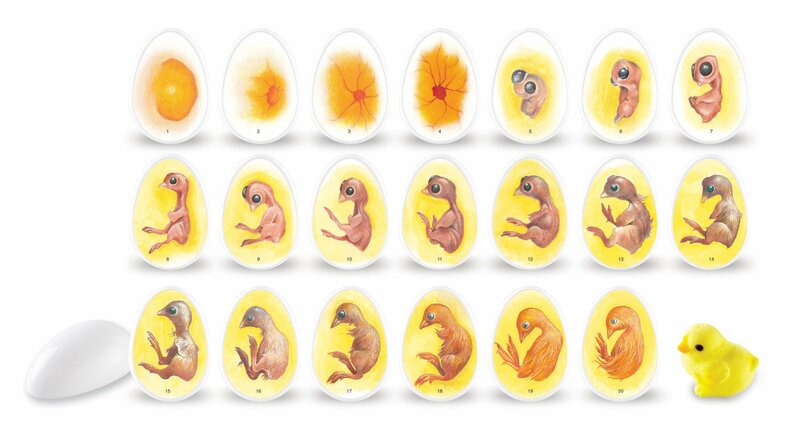 21 eggs crack open to reveal realistic illustrations. 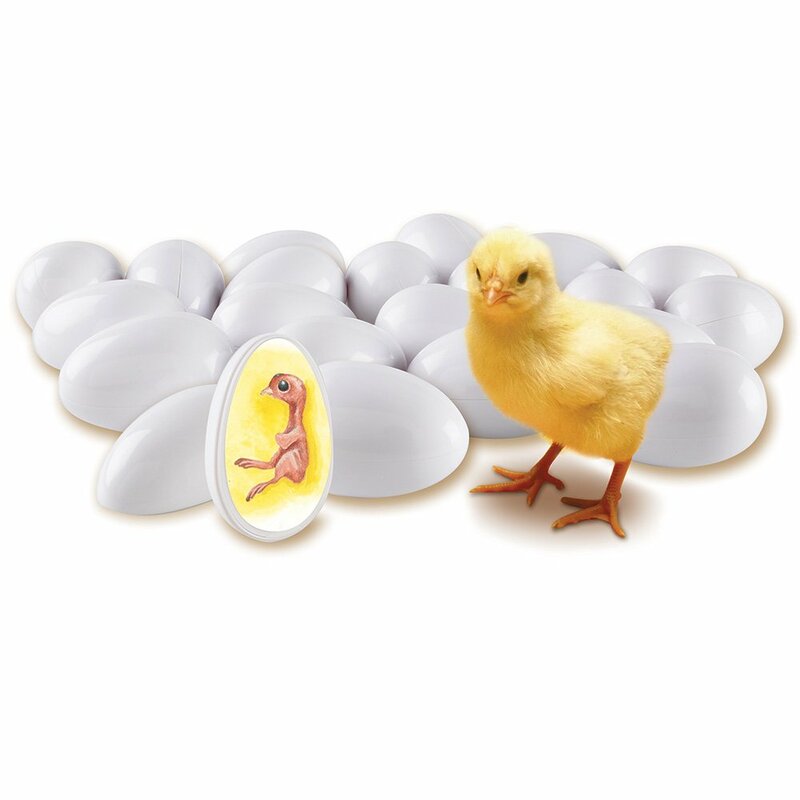 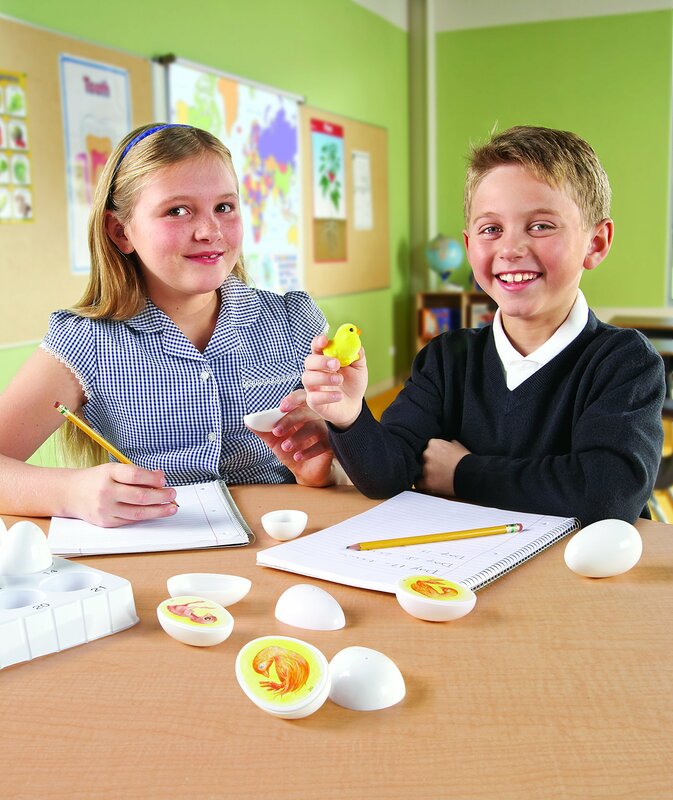 Includes 21 two-piece eggs, 3-D chick, storage tray, and activity guide.